We opened our doors in 1994. 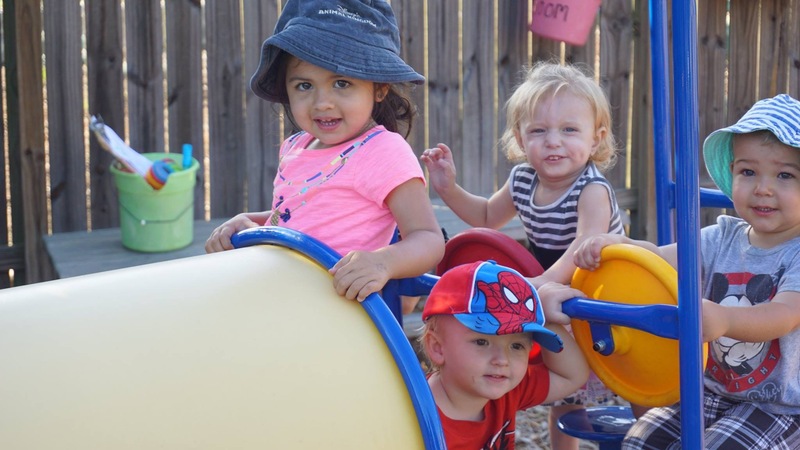 All of the children we care for are treated as extended family. .
Our infant program is highlighted by loving caregivers focused on your baby's individual needs. Our nurturing environment allows your baby to explore and learn in the warmth and security he or she is used to at home. We partner with you to develop individualized feeding, playing, and sleeping schedules to reinforce your existing schedule. Children must be 4 years old by September. All of our teachers are certified by the Texas Rising Star Program. Teachers create lesson plans unique to the students in this classroom, driven by their needs and abilities. All of our children in our pre-k program are academically and socially ready to attend Kindergarten. Our programs offer enriching learning opportunities in a fun environment for maturing school-age children. This includes before-school and after-school care, back-up or emergency care for school holidays and closings, and exciting summer day camp programs for children up to age 10.